Wish you all a very happy, healthy and prosperous new year !!!!! 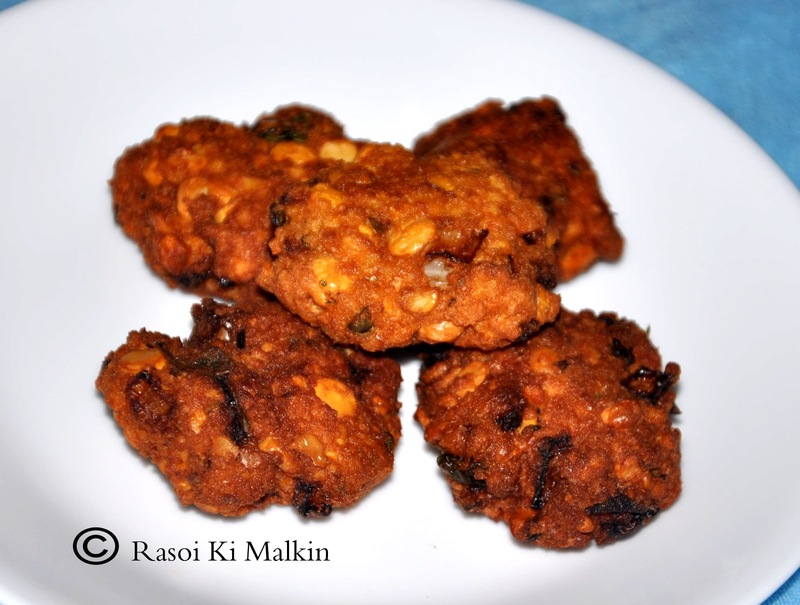 After a long break, i am back to blogging.Today i bring to you a delicacy from the Ongole and Nellore regions of Andhra Pradesh. 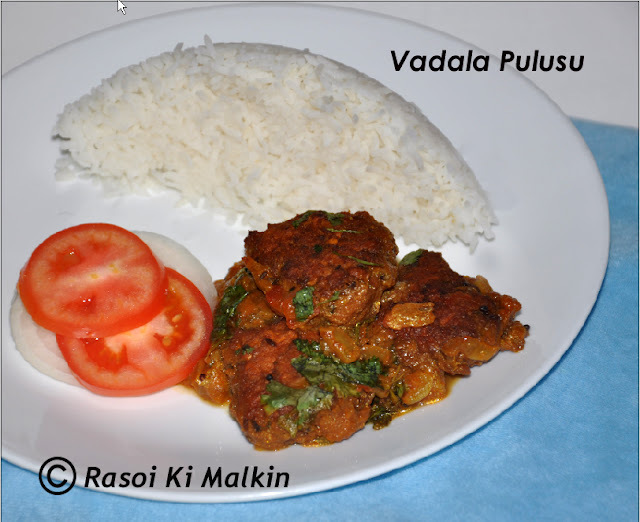 Thanks to my vadina garu for sharing this recipe with me. Soak the chana dal for 3 hours in water. When the dal is soaked, drain the water and grind the dal along with chillies, garlic and ginger. Add some onion pieces(a handful), chopped coriander leaves and salt to the above ground mixture. Make small patties from the above mixture and deep fry them in oil. Place a pan on medium heat and add oil to it. When oil is hot add the seasoning ingredients mentioned above, asofoetida and cinnamon and fry them. Add the remaining chopped onions, ginger-garlic paste, chopped tomatoes, bay leaf, curry leaves to the pan and saute them until the onions become translucent. Add tamarind juice, turmeric and salt to the pan. Once the mixture comes to a boil add 1/2 spoon of sugar, garam masala powder and red chilli powder to it. Add vadalu, made earlier, to the pulusu and boil them for five minutes and then turn of the heat. Garnish it with coriander leaves and enjoy it with hot rice. This can be served with Jeera rice or Peas Pulav as well. Happy new year wishes to you and your family.Love this dish with hot steaming rice. Delicious curry, Happy new year to you and family. Hi! We've recently launched the site www.Recipesup.com, on our website you can promote your blog. I invite you to go and take a look. Your blog will be in the top rank of Recipesup blogs. Hopefully your food blog will be up there in the top!